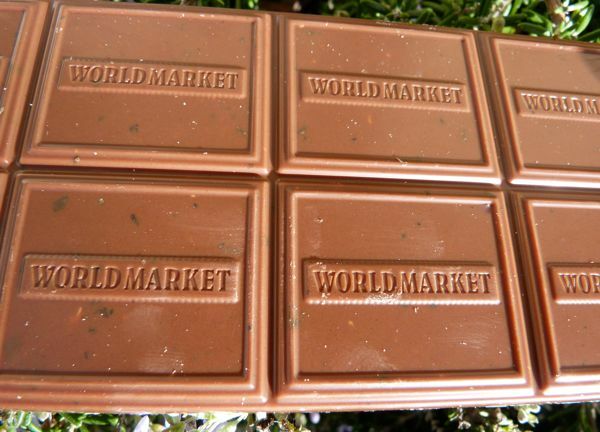 Today was Day #4 of Chocolate and Hawaii Theme Week. 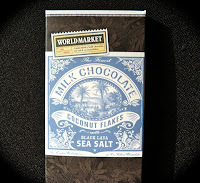 Part of a new line of flavored sea salt bars, this milk chocolate coconut flavored sea salt* offering from World Market/Cost Plus was an intriguing cross between sweet and savory. I visualized how it might taste as part of a sauce (with sauteed onions and for chicken or vegetables, over rice -- a southeast Asian or Indian version of mole sauce. I look forward to experimenting with this concept. 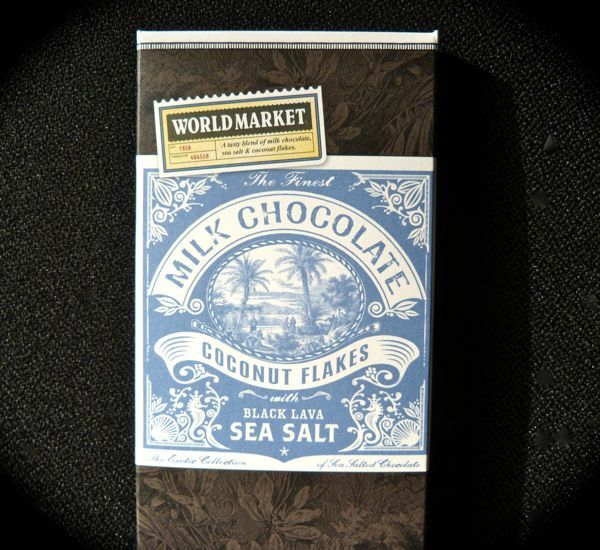 *The Hawaii connection with this tropical themed bar was the black lava sea salt.